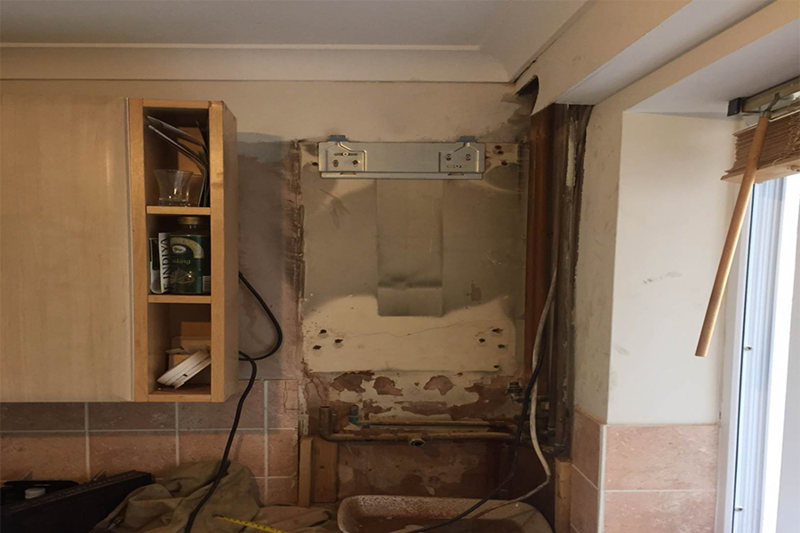 After providing a number of options to the landlord, he confirmed that he would like us to install a new Ideal Logic+ Combination boiler after we attempted to repair the old system. We were contacted by a private landlord who needed an Ideal boiler repaired. We arranged for one of our gas safe registered engineers to visit and diagnose the cause of the faults. 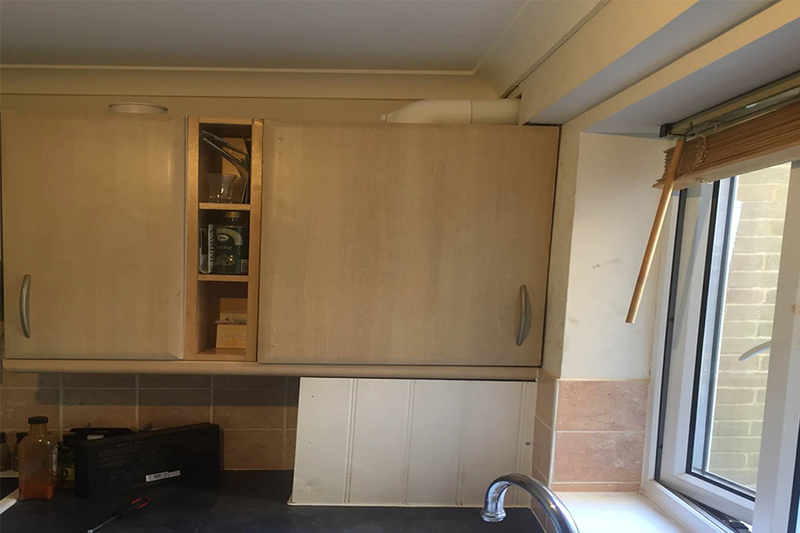 Unfortunately, after a number of fault finding tasks were completed, it was confirmed that the boiler was beyond logical repair and needed replacing. 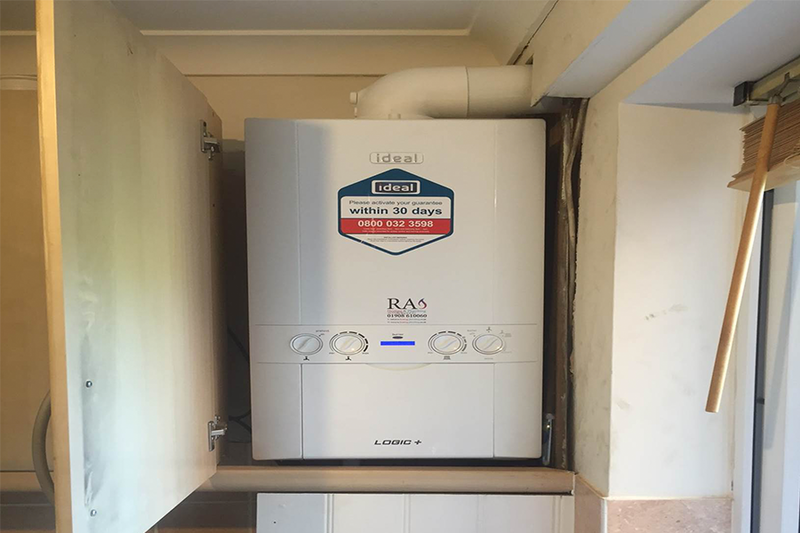 We installed a brand new Ideal Logic+ Combination boiler. These boilers are extremely popular amongst landlords as they are an affordable option and come with an impressive 7 year guarantee. As part of the installation, we completed a chemical powerflush and provided inhibitor to be added into the system. 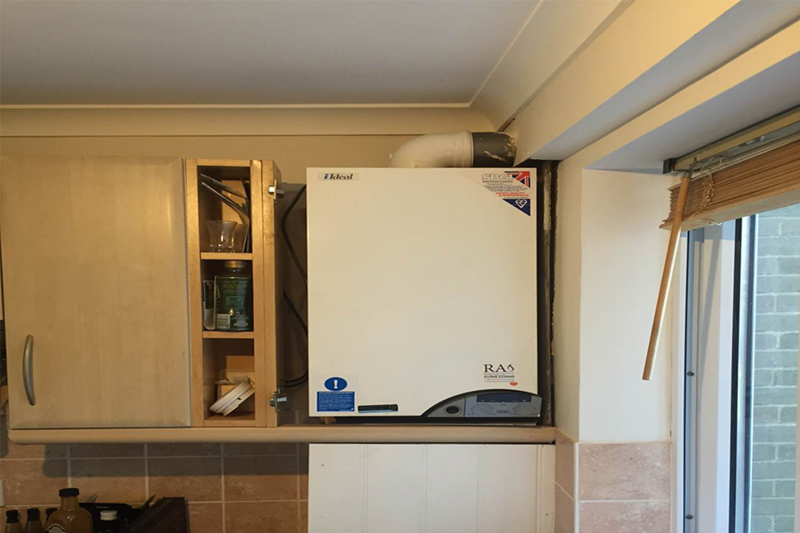 The new boiler was installed into the same cupboard as the old boiler with minimal damage within one working day.